Allen's Hummingbird has been placed on several conservation watchlists, as breeding bird surveys indicating population declines have spurred concerns that climate change may push it out of Southern California. However, local birdwatchers have reported at the same time that the non-migratory subspecies of Allen's Hummingbird, once restricted to the Channel Islands, is now a common sight at feeders in Riverside and Los Angeles. Why the discrepancy? A new commentary published in The Condor: Ornithological Applications may provide answers. The University of California-Riverside's Chris Clark used data from eBird, an online platform where citizen scientist birdwatchers can submit their sightings, to reexamine Allen's Hummingbird population trends in urban Southern California since 1990. He found a steep increase in the species' prevalence in eBird checklists from the region, with Allen's Hummingbirds reported in 20% of all checklists submitted from Southern California today. Because the pattern is consistent year-round, it cannot be driven by the migratory subspecies, which is only in the area for part of the year. While it appears that urban landscaping has created new habitat and food supplies that are exploited year round by non-migratory Allen's Hummingbirds, ecological differences between the two subspecies could also be helping to drive their different trajectories. "The non-migratory Allen's Hummingbird seems to do better in parks and backyards than does the migratory subspecies," says Clark. "It also produces more offspring during the breeding season. Either of these reasons might be why the non-migratory subspecies seems to be doing so well within urban areas of the greater L.A. area." "This commentary is an object lesson in the importance of considering all sources of data and all aspects of a species' natural history when its range and trends are modeled. As Clark emphasizes, the accuracy of such models matters when they are the basis for setting conservation priorities," according to Philip Unitt of the San Diego Natural History Museum. 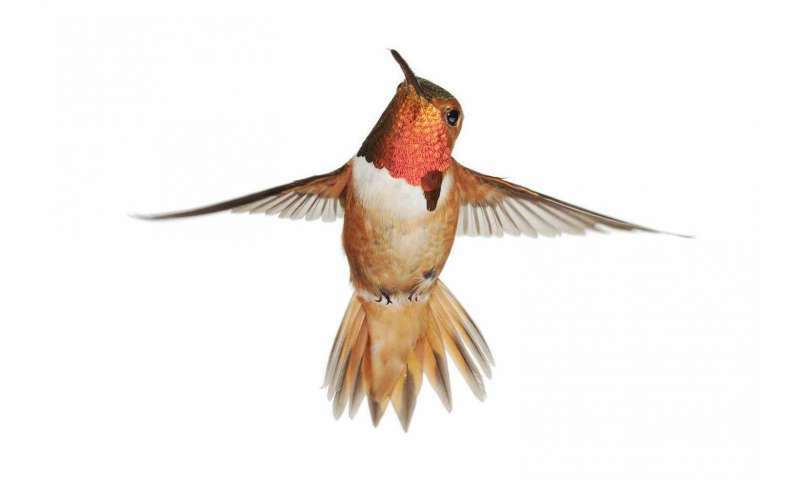 "The paper calls attention to the continuing dramatic increase in the range and numbers of Allen's Hummingbird, bringing into contact two subspecies differing in multiple aspects of their biology, an opportunity for study of evolution in process."